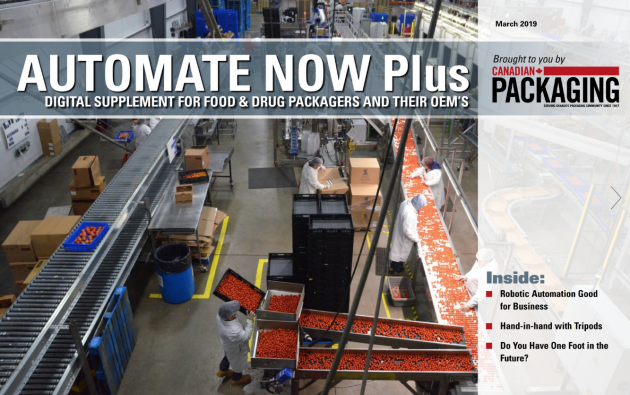 When it comes to food safety, a fortress mentality is undoubtedly a key prerequisite for a sound peace-of-mind insofar as keeping tiny metal particles and other unwanted contaminants from making their way inside a finished package headed for the retail shelf. 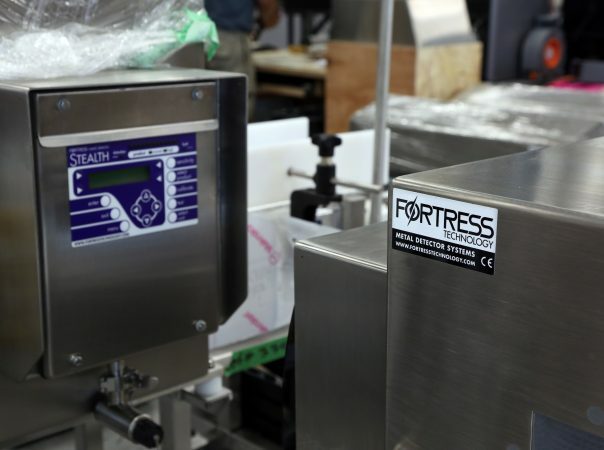 Founded in 1996, Toronto-based Fortress Technology Inc. is an embodiment of this uncompromising approach to product protection in the food industry—having shipped thousands of cutting-edge, high-sensitivity metal detection systems to food manufacturers around the world to help them avoid the unwanted glare of public shame and customer distress caused by embarrassing, yet mostly preventable product recalls prompted by unintentional inclusion of tiny metal particles making their way inside the product contents. 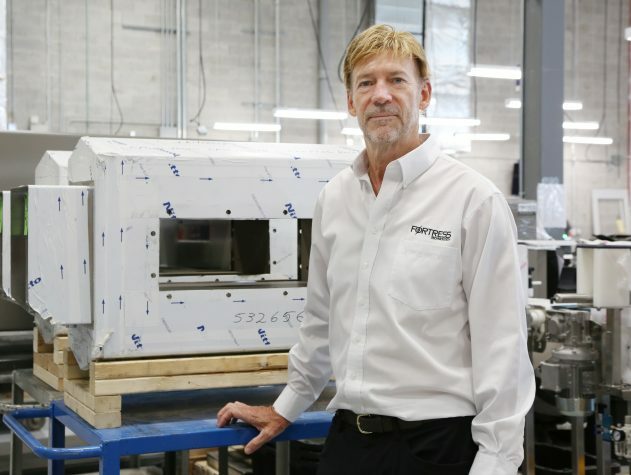 For Fortress founder and president Steve Gidman, who literally hand-assembled his first metal detection system in the family home’s garage to help a U.S. sawmill operator detect and remove metal particles from its manufacturing process, the firm’s steadfast ascent to the upper ranks of the global product inspection technologies business is a highly gratifying endorsement of the unique metal detection methodology he developed along with his original business partner Dino Rosatti. Launched three years ago, the new Interceptor series metal detector was developed to address challenging applications with ‘wet’ products such as meat and dairy. 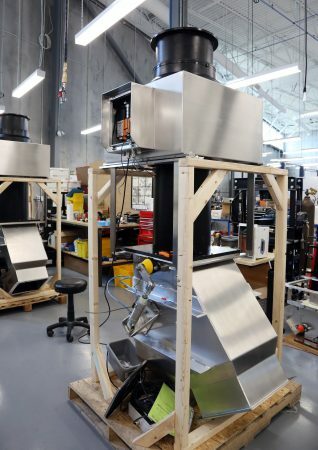 In fact, the original metal detection system he supplied to the aforementioned sawmill is still in operation today, Gidman proudly pointed out during a recent Canadian Packaging visit to the company’s spacious 55,000-square-foot production facility in Toronto’s northeast suburbs. Started up as a greenfield manufacturing facility back in 2001, the plant has recently been expanded to twice its original size to keep pace with the company’s robust growth and to provide additional amenities for the company’s highly dedicated 170 employees that manufacture about 2,500 metal detection machines per year, according to Gidman. 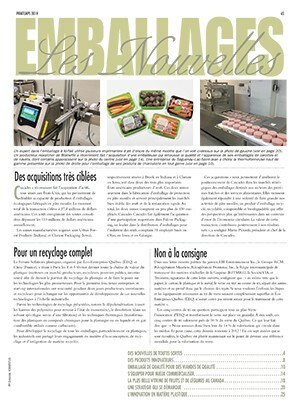 While Fortress still builds an occasional custom-made system for lumber, plastics, textile and other challenging applications, Gidman says that over 75 per cent of its manufacturing output is now focused on production of metal detectors for the food industry—in a broad variety of configurations and designs as required by end-use customers. Boasting superior sensitivity levels to enable high-precision detection of the smallest ferrous, nonferrous and stainless-steel contaminants, all Fortress-metal detectors are equipped with many value-added features and performance attributes to ensure user-friendly operation and full compliance with all the pertinent HACCP (Hazard Analysis Critical Control Points) hygienic and sanitary requirements. As Gidman explains, “Nearly every metal detector manufactured by us is customized to some extent to address the clients’ specific application needs, be it a single stand-alone metal detector sold to a fledgling specialty food startup or several dozen units shipped to a major multinational. “We are extremely customer-focused—in large part because it is our customers who often help us develop new ideas all the time,” he relates. “As a result, we have incredibly loyal customers,” Gidman proclaims, citing “exceptionally high repeat business. The company’s flagship Stealth line of metal detectors is offered in many configurations to provide the optimal inspection solution for clients’ varying application requirements. This success is amply reflected in the company’s expansive global installation base spanning over 50 countries worldwide and formations of two subsidiary companies to handle the overseas markets, including Fortress Technology (Europe) Ltd. in the U.K. and Fortress Technology Sistemas de Inspecao Ltda. in Sao Paulo, Brazil. Stealth Big Bag metal detectors for inspecting large 25-kg to 50-kg bags of flour, grains, spices and other bulk products. Stealth Multi Aperture systems for multilane product inspection of baked goods, meats, prepared meal, fresh and frozen foods, confectioneries and pharmaceutical products. 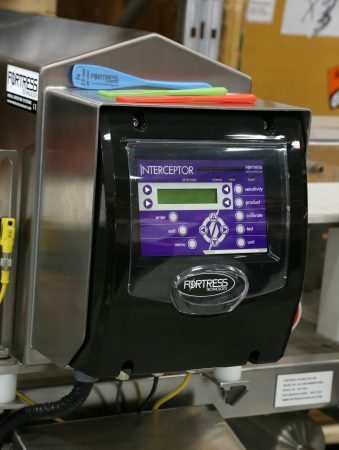 About three years ago, Fortress launched the all-new Interceptor series of custom-made metal detectors designed for addressing the challenging “wet product”applications by optimizing the company’s proprietary Simultaneous Multi-Frequency Technology for processing the transmission and reception of multiple frequencies continuously over a broad spectrum—achieving virtually 100-percent detection of stainless-steel particles as little as one millimeter in size in various bakery, meat, dairy, prepared meals and fresh-food products. advanced networking capabilities to boot. “It’s a very high-performance machine that covers virtually every application,” Gidman says. “This naturally makes it more expensive than Stealth,” he acknowledges, “but there is no need to use the Interceptor for a great many applications with easy products like crackers, cookies or cereals, which can be easily handled by Stealth for a lot less money. “The Interceptor is intended specifically for the difficult products like meat, dairy, cheese and other such conductive products that inherently produce a signal that may look like metal. “For example, a block of cheese will produce a signal that is a thousand times bigger than the target we would be looking for, so the challenge is how to separate that from the process in order to avoid ‘false reject’ readings. “Essentially, the Interceptor brings a whole new level of performance to the table,” he expands, “by allowing you to see the object from many different points of view to create a more detailed profiles for analysis. While Gidman concedes that he did not foresee the company’s remarkable growth and success in his “wildest dreams” back in the early days, he always held very firm beliefs about the inevitable rapid growth in market demand for metal detection systems in the food industry. “It seems virtually a no-brainer now,” he reflects, “but things were different in the food industry back then. “There were metal detectors there 20 years ago of course, but not for everybody. “They were mainly there used by big-brand food manufacturers with a big reputation on the line,” he relates, “so they could justify the investment. “But today it is the supermarkets and Club stores who dictate the rules on food safety,” says Gidman, hence their food vendors are literally compelled to install metal detectors at their operation just to retain access the shelf space. In fact, many supermarkets are actually doubling down on metal detection by installing units at their stores as well, he relates. “Today’s consumers may not even bother taking the issue up with the brand-owner or even the supermarket—they go right to Facebook or other social media to show what they found in their product, meaning that everyone involved in that brand’s value chain will take a hit. 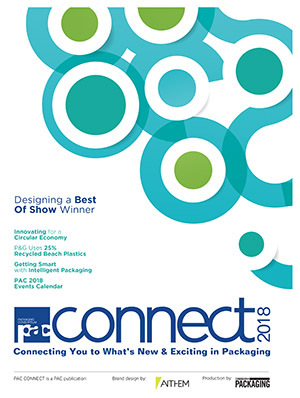 “Leading North American retailers are nowadays driving food safety compliance right down the food chain,” says Gidman, noting this trend is catching on to what’s been going on in Europe in regards to food safety, including introduction of and widespread adoption of the BRC (British Retail Consortium) standards and guidelines for safe food production and distribution. All this naturally provides many promising opportunities for Fortress, which is in fact Canada’s only metal detector manufacturer of note, to maintain its robust growth in the coming years. 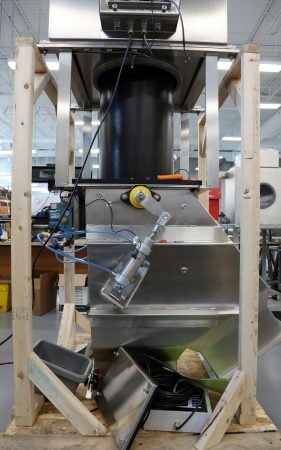 The aperture of a custom-built Stealth Gravity metal detector is fitted tightly around a pipe to inspect free-falling products like grains, cereals, chips and other dry snack-foods. Ironically, it was actually the domestic Canadian market that Fortress initially found a hard nut to crack. resulted in orders and downpayment cheques, but also promises to buy more Fortress products if it worked as good as we promised. “It now seems really odd to see that we had to sell so much of our equipment in the U.S. before the Canadian companies started taking us seriously here at home,” Gidman chuckles. Whatever the reasons, it was nothing to do with the robust performance or the innovative technology incorporated in the Fortress-built machines. Gidman recounts: “Very early on, we were invited to a special customer testing site in the U.S. where they assembled 20 different metal detector brands from around the world to test against each other for key performance attributes on one big system, in different application scenarios, and we totally dominated the end results. “That’s when we were still operating out of my garage, with five people on staff,” he laughs. That said, Gidman is adamant that metal detection technology still offers by far the best price-for-performance value for a majority of food industry application than other fancier, and significantly more expensive competing inspection technologies such as X-Ray systems. As Gidman explains, all technical advances in metal detection are focused on detecting continuously smaller metal particles—down to 0.5-mm to 0.8-mm in dry products and about 1.5-mm for stainless steel in wet conductive product like cheese—as well as minimizing the incidence of false rejects. “Ideally there is no acceptable threshold number for acceptable false rejects,” he says, “but realistically we expect our machines to do better than 0.001 per cent. “Sometimes you may even have to sacrifice a bit on performance in order to minimize false rejects, which are really the biggest threat in terms of line downtime and product waste,” he explains. “You really want to be sure that when you stop the line because of detected metal that there is really something there for you to look at and address: otherwise it’s all waste. “You can’t afford to lose confidence in your metal detection capabilities,” says Gidman. “The moment you decide that your machine is just going off randomly for no reason and you let it slide, that’s when things typically go wrong and you may end up shipping thousands of products out with metal in them. “It is critical for users to have supreme confidence in their systems, which is why false rejects must be kept very low,” says Gidman, noting that some clients have take to installing offline metal detectors to examine red-flagged packages or products without stopping the line. “It is paramount to determine whether the metal entered by chance from an ingredient supplier, for example, or it’s there because your machinery is breaking down,” he explains. A Festo air filter regulator is attached to the outer wall of the product dispensing chute to help maintain optimal product flow immediately following the inline inspection above. Because there are so many places along the production process where material contaminants can get into the product flow, positioning the right type of metal detector in the right place is a critical consideration, according to Gidman. “It’s about getting as close to the finished product as possible,” says Gidman, “but sophisticated users do not just relay on end-of-the-line readings. “If you have a big metal slicer/dicer well upstream in the process, you should have a way to measure whether it is falling apart, even if just a little. The offshoot of all this variability is that the vast majority of metal detectors made at the Toronto plant are invariably custom-designed and custom-manufactured to at least some extent. also sell other types of inspection systems different don’t like that. “They would much rather put out thousands of one or two standard-sized off-the-shelf units to keep the production costs low,” says Gidman. 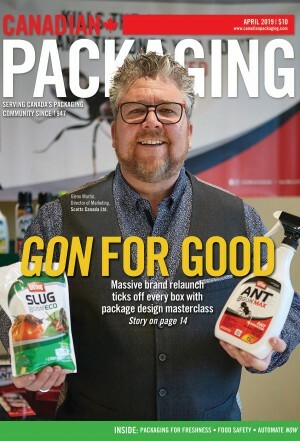 “And you can probably get away with it with something like checkweighers, let’s say, but metal detection doesn’t easily lend itself to this one-size-fits-all approach,” he states. “In addition to the company’s expertise in custom design, Gidman cites the sheer technical superiority of its sensors and signal processing technology as key competitive advantages for Fortress-built machines. “It is useless to have great digital signal processing attached to a weak sensor,” he says. “Hence the sensor, the balanced coil, has to be very stable and constant to account for any swings in temperature, moisture and so on, to receive and transmit an accurate signal,” Gidman relates. “And once that signal is obtained, own proprietary software algorithms extract, filter and sort all the product information in that signal to identify the metal. While the U.S. market accounts for a commanding 80-percent share of the Toronto plant’s export sales, the Fortress brand name travels exceptionally well in the global markets, Gidman relates, citing the equipment’s impressive multilingual capabilities (including Korean, Japanese, Turkish and leading European languages), as well as the general goodwill and stellar reputation it has built in foreign markets by providing highly reliable and very cost-effective means of high-precision metal detection, backed up by exceptional after-sales support. “Our service guys are very knowledgeable folks who train people everyday, formally or informally, and that really rubs off with our clients all over the world,” says Gidman, predicting that there is still plenty of untapped market demand out there not only for Fortress to benefit from, but for the entire metal detection industry a large. “It never ceases to amaze me to learn how many food companies are still out there without a metal detector or another product inspection system in place,” he states. That said, food industry professional are quickly becoming a lot more knowledgeable about how high-quality metal detection technology can improve their business and protect their brands and corporate reputation, according to Gidman. 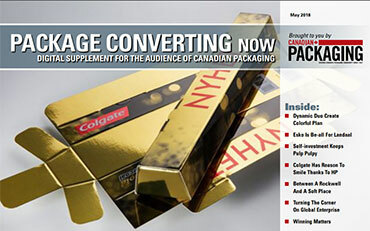 “We see it at the many packaging trade show where we exhibit,” Gidman says. “We now see a lot of quality control people, with real decision-making clout, coming to our booths to check out our systems, whereas 20 years ago it was mostly engineers. “It is very common for us to sell our systems right off the show floor,” he proclaims, “which hardly ever happened in our early days.